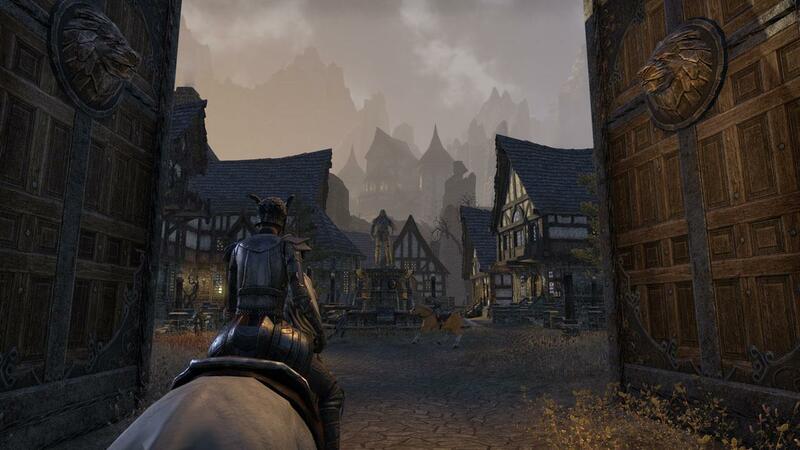 The Elder Scrolls Online from developer ZeniMax Online Studios and published by Bethesda Softworks is easily one of the most hyped massively multiplayer online role-playing games in some time, primarily due to the fact that it contains the same name and setting of a highly popular RPG series. 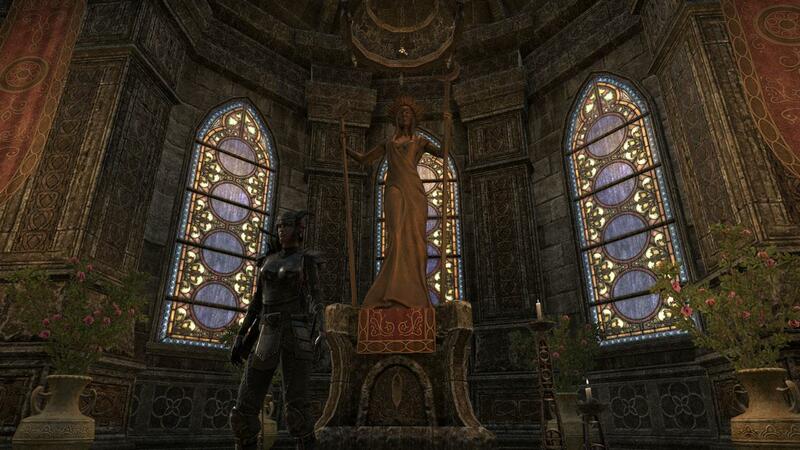 After spending a month partaking in quests and traveling the varied lands of Tamriel, a variety of reactions were formed based upon past experience with other massively multiplayer online games and other titles in the Elder Scroll series. Fans of previous Elder Scrolls titles should know up front that this game shouldn't be viewed as a sequel to Skyrim, but instead a different series game all together. The Elder Scrolls Online is best described as a traditional MMO that follows all of the genre's norms; even avoiding a free-to-play model in favor of a $14.99 monthly fee. The game takes place over 1,000 years before any of the previous series titles. The original races split into three warring factions including the Aldmeri Dominion (High Elves, Wood Elves, and Khajiit), the Daggerfall Covenant (Bretons, Redguards, and Orcs), and the Ebonheart Pact (Nords, Dark Elves, and Argonians). The game's classes include a dragonknight, sorcerer, nightblade, and templar, which translate into the genre standards of warrior, mage, rogue, and paladin. The review playthrough consisted of a dragonknight character that specialized in bows, two-handed weapons, and heavy armor. 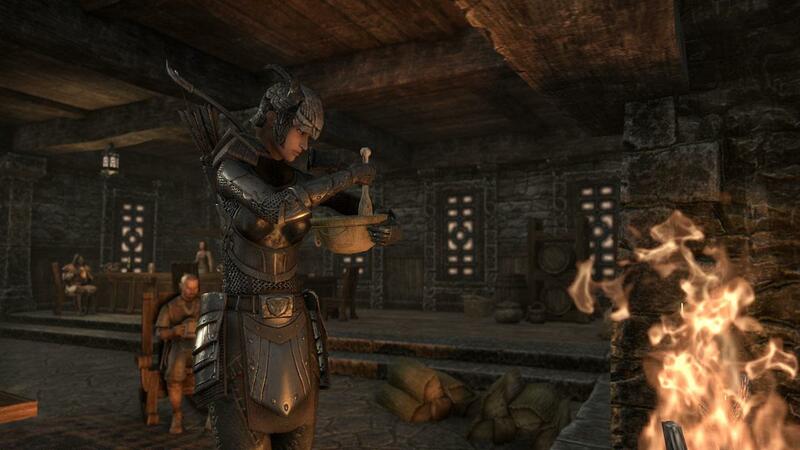 Similar to Skyrim, players decide which skills they want to pursue and then create a wide range of character builds with the extended freedom. The game's main narrative revolves around the Daedric Prince Molag Bal that is causing havoc over the lands of Tamriel. 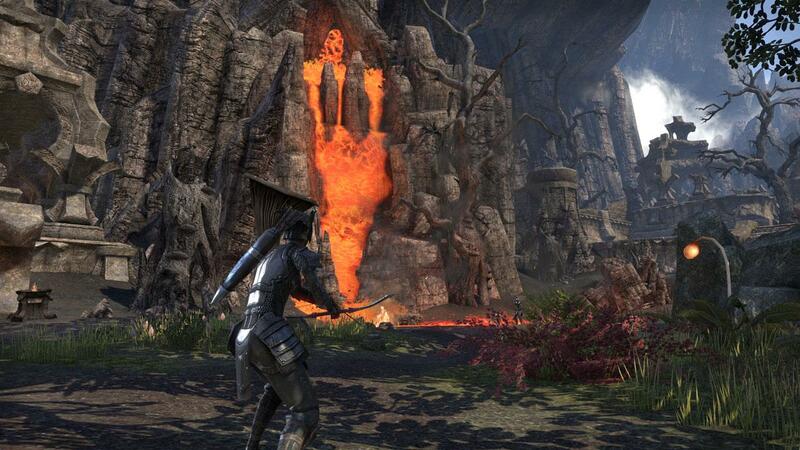 Only one person—or many, in the case of The Elder Scrolls Online—can defeat his corruption. The primary cast of characters isn't that memorable and the whole story of good versus evil becomes predictable after the first couple of quests. The more memorable encounters and experiences are results of side quests that are strewn about the various locales. The quests range from removing a town's zombie infestation to rescuing hostages from the hold of a pirate ship. In regards to quests, players shouldn't have any trouble in quickly filling their journal with tasks to complete across the various regions. Gameplay feels similar to other fantasy-based MMOs in that players click on a target and then repeatedly use an array of skills from their action bar. 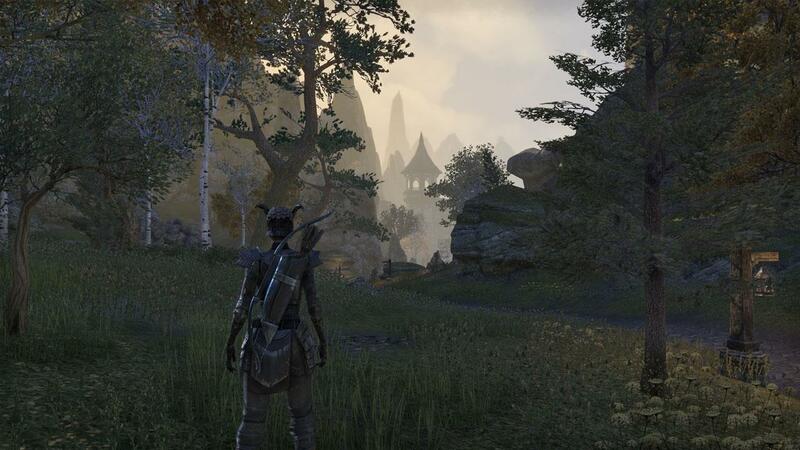 Other than its unique setting and lore, much of The Elder Scrolls Online feels similar to other games in the genre. The game does excel in its innovative quests that, for the most part, go beyond the simple affair of "head to this location and kill these number of monsters." There are rare occurrences where the game walks close to breaking out of its genre bubble, but for the most part takes the safe route by providing all of the basics that MMO fans have come to expect. The earlier sections have been massively improved from the beta's original concepts of a more strict and defined beginning. Now, once players complete the beginning section, they are immediately placed into the open world with complete freedom. Additional characters created have an option to skip the game's beginning section altogether. 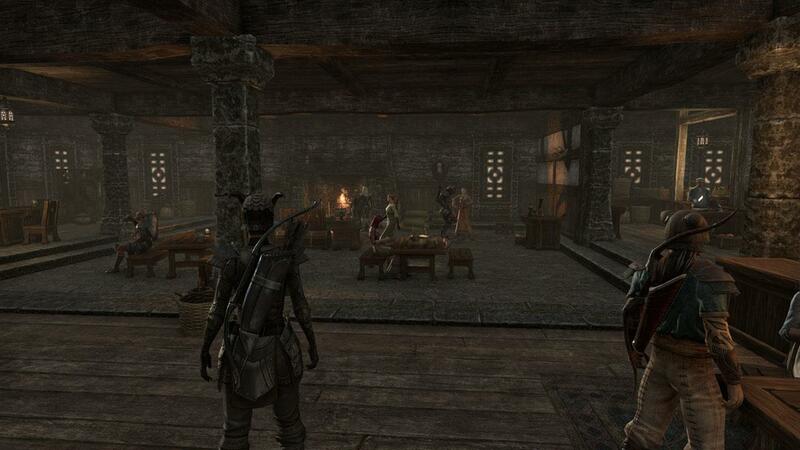 It's important that the developers were able to instill the same level of freedom as in other Elder Scrolls games. While much of the world is restricted somewhat in regards to the levels of enemies and such, players with a horse can easily ride around to their heart's content. Once players reach later levels the game feels far more accessible and open both in terms of what players can partake in and accomplish. 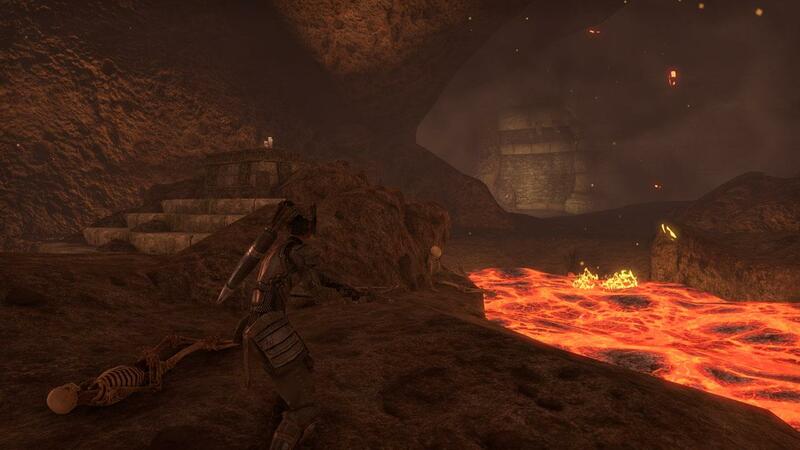 After reaching level 10, players have the ability to join in the game's massive player-versus-player campaigns that take place over the entire region of Cyrodiil; which players will recognize as the game world from Oblivion. Based upon character selection, players will be placed into one of three warring factions. Cyrodiil has its own set of dynamic quests to complete, from scouting locations to overtaking enemy fortifications such as farms and forts. The greatest aspect of Cyrodiil is the region's expansive area in which both friendly and enemy players can roam freely on foot and horseback. Battles can happen at anytime based upon characters forming into groups and then organizing to attack a specific location. PvP warfare is by far the game's most addictive and entertaining feature; it truly feels like an MMO experience. The game's presentation provides solid visuals and sounds, which might not be the most impressive in relation to other genre games, but they work well in representing The Elder Scrolls setting and lore. The interface takes a minimal approach to presenting information, which in some ways is an excellent change to the MMO genre. In other ways, such as acquiring useful information during battle, it becomes less useful. Fortunately, the game supports user-created add-ons that can both change the way game information is displayed, but also show additional details that normally aren't enabled. The Elder Scrolls Online enters a competitive market of not only monthly subscription MMOs, but also the extensive amount of free-to-play titles. Fans of The Elder Scrolls series are sure to find a lot of content to enjoy with the game's foundation in its setting and lore. However, those players looking for an innovative game might be disappointed by the lack of risk taken with The Elder Scrolls Online. Fans of player-versus-player combat should invest some time in the game merely to experience the impressive world that was crafted for the warring factions. 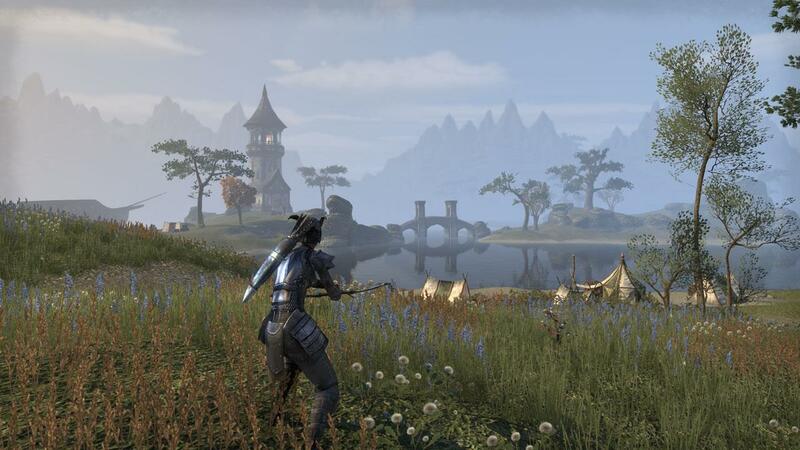 The Elder Scrolls Online may have some weak spots in its underlying foundation, but for the most part is a solid and entertaining game that was constructed with series enthusiasts in mind. 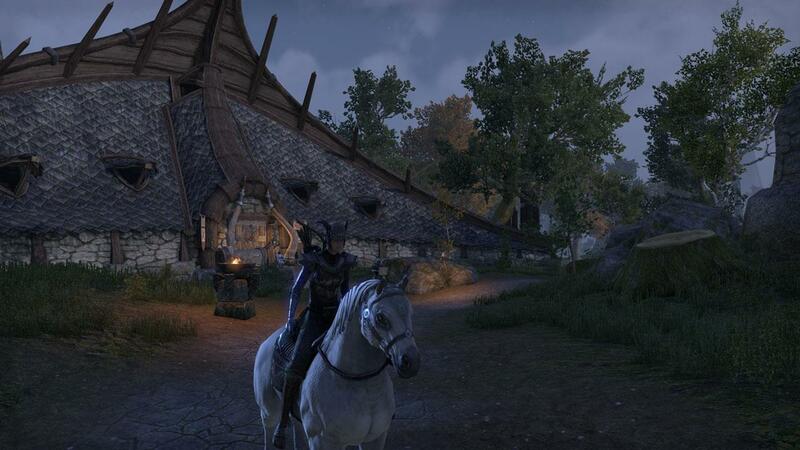 The Elder Scrolls Online is a solid massively multiplayer online experience. There is a variety of content both in the adventure and player-versus-player modes. A lack of risk-taking in the genre formula, however, holds the game back from being innovative or unique. Fortunately, the Elder Scrolls setting and lore are presented perfectly in addition to including one of the best player-versus-player systems in an MMO. 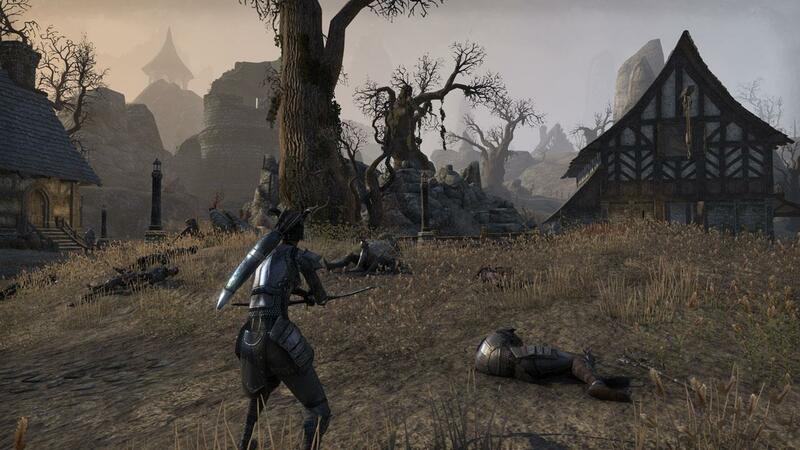 Fans of the Elder Scrolls series who can overlook a monthly subscription fee are sure to find plenty to enjoy on their online adventures in Tamriel.